In ancient times, Laie, Hawaii was known as a city of refuge. Fugitives and transgressors would flee to it, as warriors were forbidden to harm them or enter the boundaries of the city. Little did the inhabitants know that the city of Laie would continue this tradition for generations as it became a refuge for Latter-day Saints in Polynesia. The first Christian missionaries arrived in Hawaii in 1820, with Mormon missionaries following in 1850. While many branches of the Church were formed, the early converts faced multiple struggles. A smallpox epidemic wiped out entire congregations in 1853 and many longed to gather in Salt Lake City, but the Kingdom of Hawaii prohibited natives from immigrating at the time. When the U.S. Army was about to advance on Salt Lake City, President Brigham Young recalled all missionaries in 1858. It wasn’t until December 1864 that a call was made to establish a place in Hawaii where the Saints could gather. Elder Francis A. Hammond, while visiting O’ahu, learned of a large plantation known as Laie, which was eagerly being sold by the United States Vice-Consul in Honolulu who demanded the purchase be made immediately if the missionaries wanted the land. When praying about the decision, Elder Hammond had a dream in which Brigham Young and Heber C. Kimball surveyed the plantation and declared it was the chosen spot. On January 26, 1865, Elder Hammond finalized the sale. Farming operations began immediately. 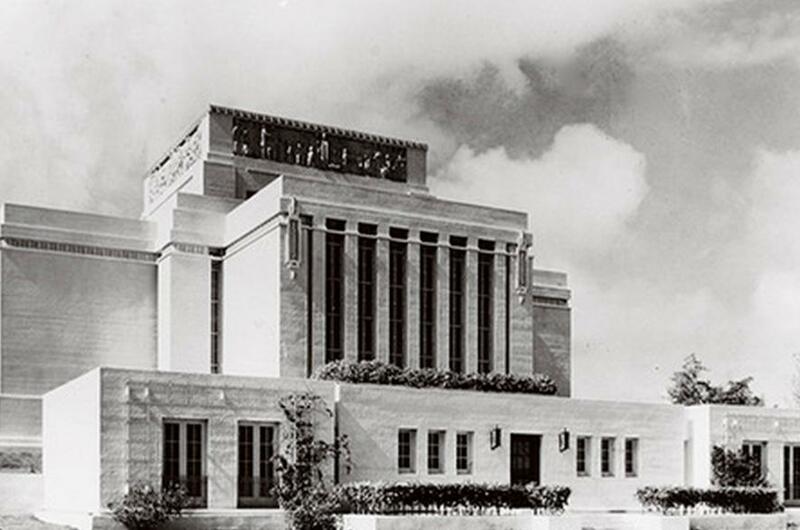 Slowly, the Saints began to prosper in Laie and multiple prophecies were made that a temple would be built in Hawaii. This idea came to fruition when President Joseph F. Smith dedicated the land of Laie for a temple in 1915. Laie Hawaii Temple. Courtesy of LDS.org. The first of five dedicatory sessions took place on Thanksgiving Day, 1919. It quickly resulted in Laie becoming a gathering place for the Saints. In 1920, a small group of Maoris from New Zealand came to the temple with 110 generations of genealogy. They claimed to have the blood of Israel in their lineage. Many Samoans began to gather in Laie as well. The next major turning point for the Saints in Laie occurred after World War II. Members wanted to build another chapel but lacked the funds. To raise money, members decided to host a hukilau, a native celebration including cultural dances and food. This tradition would eventually evolve into the Polynesian Cultural Center, a Church-operated attraction which was dedicated in 1963. It was designed to be an entertaining and informative experience for tourists visiting the island. With the addition of the Polynesian Cultural center, Laie would continue to prosper as it entered recent history. The Church College of Hawaii was eventually built and now stands as Brigham Young University-Hawaii. The Polynesian Cultural Center would continue to grow as well and it is currently the number one paid attraction in Hawaii. Thousands of students and residents continue to work there, sharing their culture with millions of visitors every year. Church College of Hawaii. Courtesy of Hawaii Reserves, Inc. According to official reports, there are now over 70,000 members in Hawaii, two temples, and one mission. Thanks to the efforts of faithful Saints, past and present, the spirit of aloha and the spirit of the gospel will continue to spread for years to come. The Polynesian Cultural Center is dedicated to preserving the heritage of the islands, serving the local community, and providing world-class entertainment. Because of this mission, they are excited to spread the word. You can learn more about the PCC here.